It's not always a given that a celebrity will have incredible talent, but also incredible style, but for actress Millie Bobby Brown her reality is that she excels at both. The 13-year old Stranger Things actress has on more than one occasion caught our attention and made us wonder why we weren't even remotely as cool (or well dressed) as Millie at her age. From Gucci and Rodarte, to pretty and youthful trends like millennial pink and tulle on the red carpet, she never fails to impress. Her stylist, Thomas Carter Phillips, nails the perfect mix of modern dressing but keeping within the realms of looking age-appropriate. Mini lengths are styled with sleeves on top, and red carpet dresses are toned down with motorcycle boots and playful block heels. For girls looking to nail their school formal look, we suggest looking to MBB. We predict she’ll be giving many stylish celebrities a run for their money, and it's only a matter of time before we see not only recognised for her acting ability, but her style, too. 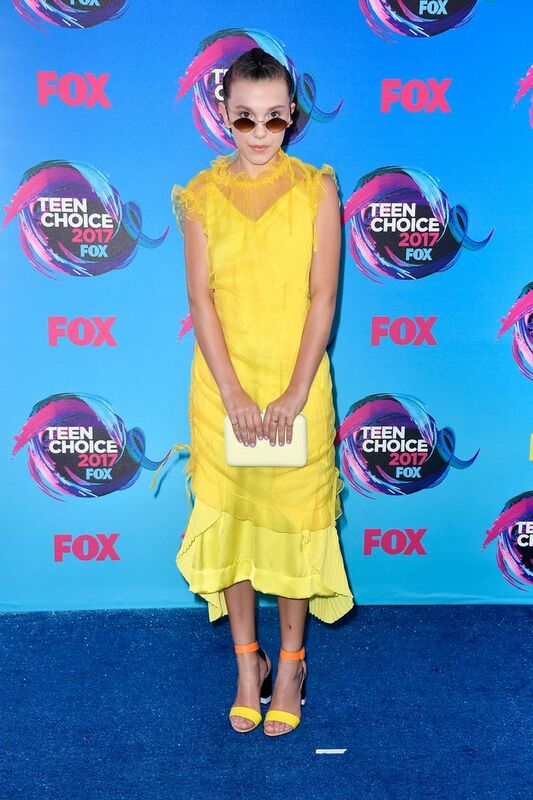 Click through to see our favourite looks from Millie Bobby Brown.